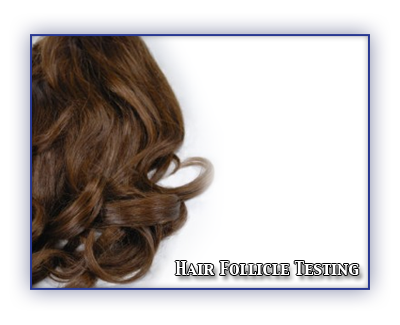 Texas Alcohol and Drug Testing Service Inc. utilizes Quest Diagnostics to perform hair follicle testing. When compared to the more traditional forms of testing, i.e. urine testing, hair samples can detect a longer period of drug use. With urine, most drugs are undetectable if urinalysis is done more than 2-3 days after use, with the exception of marijuana, which may be detected for a slightly longer period of time. After the 2-3 day period, a urine donor will test negative and slip through the urine screening process. With hair samples, the only time limitation for detecting drug usage is imposed by the length of the donor’s hair. Each ½ inch of head hair provides a 30-day history of drug use. The standard for the industry is to test 1.5 inches, which provides a 90-day history of the donor’s drug use. If no head hair is available, body hair can be used. Bleaches, shampoos and external contaminants (i.e. marijuana smoke) have no known impact on test results. Collection of hair samples can be done at one of the hundreds of locations across North America in the Quest Diagnostics network. If you would prefer to provide your own collection, we can train and certify your personnel in the proper hair sample collection process.